Climbing the Mountain | Physics from the bottom up! Physics from the bottom up! Proof: It is since if it were would vanish in by Theorem 63. The previous theorem is perhaps more of a lemma than a theorem per se. Because it will allows us to prove more important results. Also this result can be seen as providing a method of finding (very) local approximations to functions at a given point and as such it is the same as a Taylor expansion of first order (we’ll see what this means in futures posts). Theorem 66 (Cauchy first limit rule) Let , and differentiable. Moreover doesn’t vanish in and . Proof: Let . Since are continuous in and we can set . Let such as . Hence, for this case it also is . The case can be proven in a similar way with the change of variable . Proof: Left as an exercise for the reader. The two previous theorems are known by a variety of names on the mathematical literature and are one of the most used theorems in the practice of calculating limits. Example 1 The functions and tend to infinity as goes to infinity. 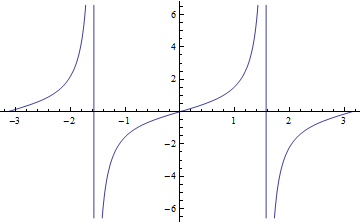 We already saw that the exponential function goes to infinity faster than any polynomial of , but Cauchy’s second theorem allows us to prove that result much faster. As always a method that proves itself to tame thorny results in a more efficient way surely is a powerful method. Example 2 The functions and tend to as goes to . But which one of them tends to more strongly? At the end of the last example we arrived once again at the type of limit where . Another mathematical theorem from real analysis which is very important to Physics, in a conceptual level, is what we’ll call Lagrange’s theorem. Even though it is a theorem in Real Analysis it has a very nice interpretation in geometrical and in kinematic terms. Proof: In theorem 65 let and the result follows trivially. As I was saying before the statement and proof of this theorem it can be interpreted both geometrically and kinematically. The geometric interpretation states that the secant to the function in the interval has a given slope and that we can always find a tangent to the function in the interval whose slope is the same as the secant. Hence the straight lines defined by these secant and tangent are parallel. Since in this context can be interpreted as the being the instantaneous speed (or just speed for short) the previous result states that there exists a time instant in which your instantaneous speed is the same as you average speed for the whole time interval. Example 3 Show that . Proof: Let . Assume that and apply Theorem 68 to the interval . Assume now that and apply once again 68, but this time to the interval . Notice that in the we didn’t invert the sign of the inequality while multiplying by because and consequently . The last theorem has two important corollaries that we’ll state below. Corollary 69 Let be an interval in and continuous. If exists and vanishes in the interior of , then is constant. Hence which is absurd since it would imply that , which is contrary to our initial hypothesis. Corollary 70 () Let be an interval in and continuous. If exists and is positive (negative) in the interior of , then is strictly increasing (decreasing). Since it is and is strictly increasing. And with these results we finish the Differential Calculus part of our course in Real Analysis. The next theoretical posts of Real Analysis will dwell on the theory of numerical series. A notation that formally suggests that we can cancel out the . Since is differentiable in it also is continuous in by Corollary 59. Then also is continuous in (by Theorem 43). As an application of Theorem 60 let us look into some simple examples. Let and and calculate . which generalizes the know rule for integer exponents. Like in the first example the construction of interest is where and . Just like in Theorem 60 we will state an application of the previous theorem. Let and , then . In general one can define superior derivatives by using recursion. Definition 39 A function is said to be times differentiable in if all exist and are finite. 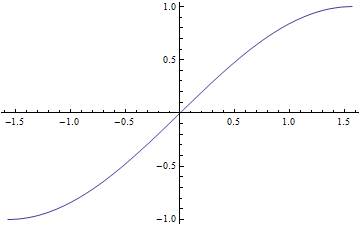 We already know that a differentiable function is continuous (via Corollary 59 in Real Analysis – Differential Calculus I) , but is it that the derivative of a differentiable function also is a continuous function? but isn’t continuous for . The reader is invited to calculate and . Apparently the derivative of a function either is continuous or it is strongly discontinuous. That being said it is obvious that it makes sense to introduce differentiability classes, which classifies a function according to its derivatives properties. Definition 40 A function is said to be of class if it is times differentiable and is continuous. It is easy to see that a function that is of class also is of classs . A function is said to be of class if it has finite derivatives in all orders (which are necessarily continuous). If are times differentible in then , , are also times differentiable in . Proof: Let us suppose without loss of generality that has a relative maximum in . Since is an interior point of and exists, and exist and are equal. Since it has to be and consequently . One can visualize the previous theorem in the following way. 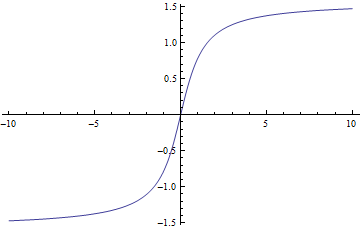 Imagine that you have a relative maximum in a given interval for a continuous function. For some vicinity of that point we must have function values that are inferior to . Since we are assuming that is a maximum values to its left are increasing as we approach and values to its right are decreasing as we mover further away from . Hence for its left side the derivative of has positive values, while to its left the derivative of has negative values, since we also assume that the derivative exists in we can reason by continuity that its value is . Theorem 63 (Rolle’s Theorem) Let and continuous such as . If is differentiable and there exists a point such as . Proof: Since is continuous in the compact interval it has a maximum and a minimum in (see Extreme Value Theorem which is theorem 55 in Real Analysis – Limits and Continuity VII). If for is either a maximum or a minimum then by Theorem 62 . Corollary 64 Let , continuous such as . If is differentiable in the interior of and doesn’t vanish in the interior of , then doesn’t have more than one in . Proof: Let us use the method of reductio ad absurdum that vanishes for two points of ( and ). applying Theorem 63 in (since ) there exists in such as . Hence vanishes in the interior of which contradicts our hypothesis. 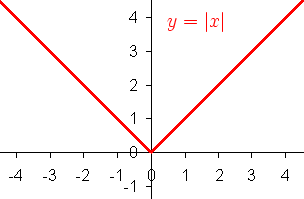 This limit is represented by and is said to be the derivative of in . 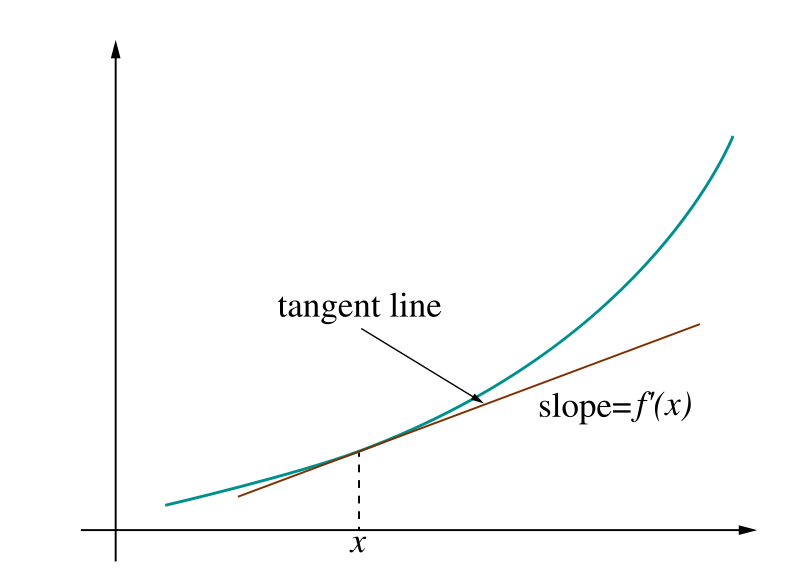 The geometric interpretation of the value of the derivative is that it is the slope of the tangent of the curve that passes through . The concept of the tangent to a curve. Which is a geometric concept. The concept of the instantaneous velocity of a particle. Which is a kinematic concept. The fact the two concepts that apparently have nothing in common are unified by a unique mathematical concepts is an indication of the importance of derivative. If , exists iff and exist and are equal. Definition 37 A function is said to be differentiable in if exists and is finite. Definition 38 Let differentiable in . The map is called the derivative of and is represented by . Finally when can also denote the derivative of using Leibniz’s notation. As an example let us look into the function . The following relationships are left as an exercise for the reader. Since , then is null and vanishing in . To complete the proof one ha to check that with the previous construction of the identity of the theorem holds. Since it is when . From corollary 59 it follows that all differentiable functions are continuous too. But is the converse also true? Is it true that all continuous functions are also differentiable? with , a positive odd integer and . Theorem 51 (Intermediate Value Theorem) Let and is a continuous function. Let such that , then there exists such that .Proof: Omitted. Intuitively speaking the previous theorem states that the graph of a continuous function doesn’t have holes in it if the domain of the function doesn’t have any holes in it too. As an application let us look into with odd and . It is for large (positively or negatively) values of . It is and . The domain, of is which is an interval. By corollary 52 it is . Which means that every odd polynomial function has at least one . Theorem 54 (Continuity of the inverse function) Let be an interval in and a continuous function and strictly monotonous. Then is continuous and strictly monotonous.Proof: Omitted. This theorem has important applications since it allows us to define the inverse functions of the trigonometric functions. Hence one can define the inverse of the sine function in this suitably restricted domain. Where denotes the inverse of . Since it is . Also by theorem 54 is continuous. 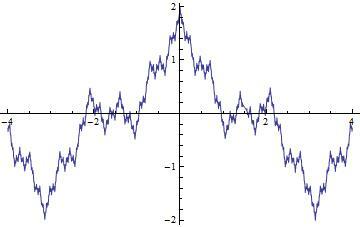 and it is evident by its representation that is an odd function. Hence one can define the inverse of the tangent function in this suitably restricted domain. 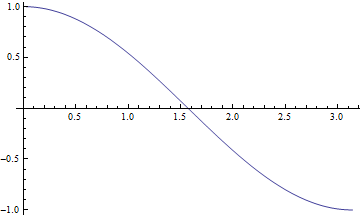 Hence one can define the inverse of the cosine function in this suitably restricted domain. Theorem 55 (Extreme value theorem) Let and . Then has a maximum and a minimum.Proof: Let be the codomain of and .By Theorem 17 in post Real Analysis – Sequences II there exists a sequence of points in such that . Since the terms of are points of for each there exists such that . 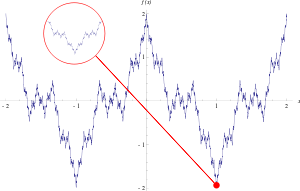 Since is a sequence of points in the compact interval (see definition 22 in post Real Analysis – Sequences IV) , by Corollary 27 (also in post Real Analysis – Sequences IV) there exists a subsequence of that converges to a point in . Since is continuous in it is, by definition of continuity, (see definition 34) . But , which is a subsequence of . Since it also is . In conclusion it is , hence . That is . For the minimum one can construct a similar proof. This proof is left as an exercise for the reader. Continuous functions have a maximum and a minimum in compact intervals. Theorem 56 Let be a compact interval of and continuous. Then is a compact interval.Proof: By corollary 53 is an interval.By theorem 55 has a maximum and a minimum. Hence is of the form . Thus is a limited and closed interval, which is the definition of a compact interval. Compactness is preserved under a continuous map. As an application of the previous definition let us look into . It is . As another example let us look into Since and we can’t define for . Finally if we let we have . Since the limits are divergent we still can’t define . In general one can say that given and exists if and only if exists and is finite. Theorem 42 Let ; and . If and are continuous functions then , and (if ) are also continuous functions. Proof: We’ll prove that is continuous and let the other cases for the reader. Let be a sequence of points in such that . 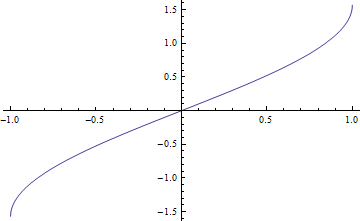 Then and (since and are continuous functions). Hence it follows from property of Theorem 19. 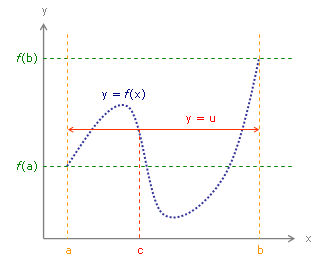 Which is the definition of a continuous function. Let . First we note that , and are continuous functions. Now also a continuous function. is continuous since it is the product of continuous functions. is continuous since it is the product of continuous functions. Finally is continuous since it is the sum of continuous functions. Theorem 43 Let , , and . 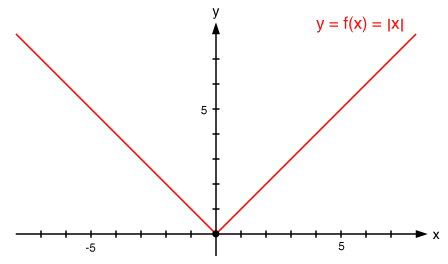 If is continuous in and is continuous in , then the composite function is continuous in point . Proof: Let be a sequence of points in with . Hence . If is continuous in it also is . This is . Thus is continuous in . As an application of the previous theorem let . Since we can write . Since is a continuous function and is also a continuous function it follows that is a continuous function (it is the composition of two continuous functions). By the same argument we can also show that with , (for ) is also a continuous function in . Theorem 44 Let , , and . Suppose that and that exists. If is continuous it follows . We can write . Since it is, from Theorem 44, . Suppose that and let be the function that makes be continuous in . It is , hence it is . By definition is continuous so by Theorem 44 . Let . By Theorem 44 it is (with the conventions and ). Thus . Analogously one can show that (with the conventions and ). Let . It is (since ). On the other hand for it also is . The question we want to answer is since the answer to this question tell us which of the functions tends more rapidly to . Proof: Let ( ). It is . Hence . Moreover . Let denote the nearest integer function and using Bernoulli’s Inequality ( ) it is . Since it follows from Theorem 32 that . Proof: Left as an exercise for the reader (remember to make the convenient change of variable). Theorem 47 Let , then =0. 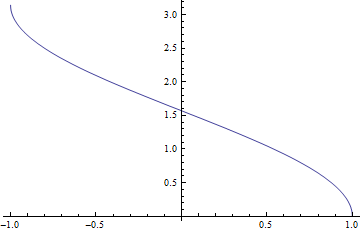 Proof: First remember that which is Stirling’s Approximation. Since it also is . Proof: Will be proven as an exercise. Proof: Left as an exercise for the reader. Make the change of variables and use the previous theorem. Today I logged in again to my wordpress.com account, as I do from time to time, and I received a notification telling me that I had joined wordpress.com 5 years ago. Wow! 5 years ago (and a couple of days) I started this blog with a grand plan. I wanted to review my Physics education in order to get my knowledge of Physics solidified and also to provide a good online resource to Physics students all over the world. The thing is that running a blog like this takes time and will power and I lacked on both of them. Actually running a blog like this only takes will power. You see I’ve recently learned that having no time is a big fat lie!!! What one has are priorities. Simply put, running this blog wasn’t one of my priorities until now. The thing is that running this blog and once again being part of the Physics gang is one of priorities. What I’m trying to say is: stay tuned in this space because this time it is for real. The first thing I want to say about this post is that its title is actually a misnomer. Much of what I’ll say here is valid for pretty much the rest of the blog, while some things are only pertinent to Newtonian Physics. The approach taken in this blog for developing the physical theories will be the axiomatic one. I’ll do this because of brevity, internal elegance and consistency. Of course, I’m well aware of the fact that this is only possible with hindsight but I think that one has a lot to gain when physics is presented this way. Maybe the one who has more to gain is the presenter than the presentee, but since this is my blog I’m calling all the shots. Maybe a word is in order for what the word axiom means and a little bit of history will be needed (gasp!!! the first self-contradiction!!!). In ancient Greece, the place where normally one thinks real science started to take shape (actually it wasn’t but this is a whole other can of worms), people who concerned themselves with such matters used two words to signify two things that nowadays are taken as synonyms. Those two words were: axiom and postulate. Back in the day axiom was taken to be a self-evident truth while a postulate was taken to be something that one would have to take for certain for the sake of constructing an argument. So, axiom was a deep truth of nature while a postulate was something that humans had to resort to in order to reach new knowledge. As an example of an axiom we have Euclid’s fifth (which revealed itself to be quite the deep mathematical truth!) and as an example of a postulate one has the assumption that Hipparchus made that the sun rays travelled in straight lines from the Sun to the Earth and Moon while he calculated the distances and sizes of those three bodies. People have become a lot more cynical and in modern day usage those two terms are used as synonyms (and the meaning that prevails is the postulate one). Axioms arise in Mathematics when one is willing to construct a theory that will unify a body of (not so) disjoint facts into a coherent whole. One should take proper care that the propositions one uses as the building blocks are enough for completeness and internal coherence and can derive the maximum amount of new facts with the minimum amount of assumed propositions. In Physics things seem to be different at first sight but let me show you that things aren’t that different after all. For starters one knows ever since Galileo that the verbal method of Aristotle – (metha)physics – isn’t the way to go for one to know, predict and even interfere in natural phenomena. For all of this to happen mathematical tools are needed. One gets deeper into the truth of things, and one is also able to get technological progress that, besides of messing up with the natural environment, also makes people’s life easier. It isn’t enough to tell that bodies fall under gravity, one has also to specify where, with what energy, under what time interval such a fall happens. For instance Newton’s theory as it was done by Newton was axiomatic. His three laws are just another name for axioms. They are the propositions that contain the undefined terms whose validity one has to accept in order to achieve new results. One fundamental difference now arises. While in Mathematics things are normally evaluated in terms of self-consistency and internal elegance (this is a HUGE oversimplification) in physics things are also judged by how good the new results compare to actual measurements in the real world. In Physics physical theories have to be consistent with what see around us (another HUGE oversimplification). Hence if Newton’s Principia predicted squared orbits for the planets, Newton’s Principia would have to be scrapped. Another difference is at the way we physicists arrive at the axioms: normally one has some experimental facts and start thinking about them and how they are linked with each other. Hopefully one will then be able to put the most fundamental properties as building blocks of our theories and call them axioms (in Physics it is more usual to call them laws). After digressing a little, thanks for reading by the way, let me proceed with the defense of the axiomatic way in Physics. One other thing is that I think that knowledge is a lot more sound when one knows where one stands and why one is standing there and not some other place. So, if I tell you what are our basics (it doesn’t matter how we get to them) and derive all that can be derived from them I believe that sounder knowledge is achieved. The historical/phenomenological method has as its big advantage (according to me at least) of showing the inner struggles each concept has to endure before being accepted and being part of the reigning paradigm. It also makes things more approachable at a first attempt, but I think that the merits of this approach stop at this initial pedagogy. The downsides of the axiomatic way are that, at first sight, it seems highly artificial, and may not be what most people are used to and want to see when wanting to learn physics. I’ll start off by introducing units of measurement, dimensional analysis and explain why they are important in Physics. A little bit on error propagation and why it matters in physics. Yes, this is mostly a theoretical blog but I consider this to be part of the physicist knowing where he/she stands paradigm. Assume that the reader knows differential and integral calculus (even though I’ll continue my posts on Basic Mathematics). Introduce the Newtonian axioms and what most people think Newton meant to say what while introducing them. Do a lot of calculations.